Uttarakhand, the Land of Gods, is a heaven for nature lovers and adventure enthusiasts. 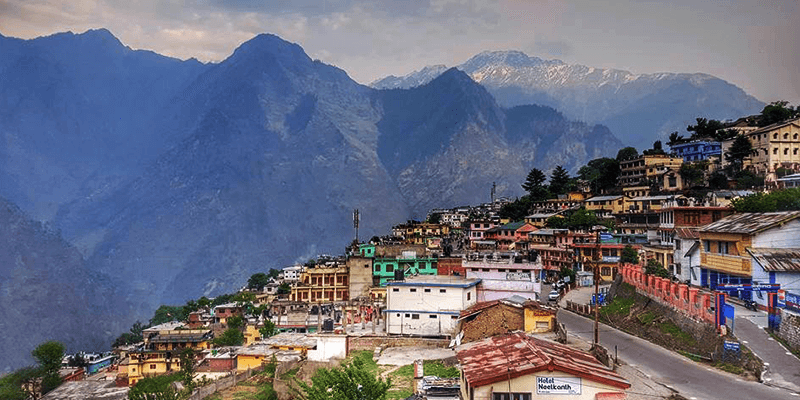 Out of all other amazing locations in Uttarakhand, Garhwal is an adventure seeker’s paradise, being home to some of the most enthralling trekking routes. Apart from its beautiful valleys, lush green meadows and awe-inspiring peaks; Garhwal opens up loads of opportunities for the adventurists. 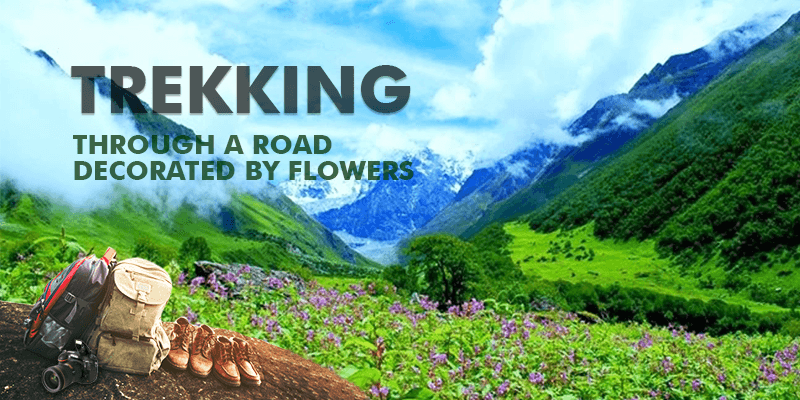 Trekking in the beautiful terrains of Garhwal is an unforgettable experience, and a trekking trip to Valley of Flowers is a must, while visiting this part of India. The stunning valley, with magnificent flowers at full bloom during the monsoons, is every trekker’s and photographer’s dream destination. By Train: The nearest station is at Rishikesh (269 KM away). But, most people prefer to get down at Haridwar due to better train options. Onward Journey: State Transportation buses are available from Haridwar and Rishikesh railway stations. To reach Valley of Flowers, one has to get down at Govindghat. Though the trekking route remains open from June to October, but the best time to trek would be between July and August when the flowers are in full bloom. A trek to the Valley of Flowers is a feast for the eyes. The beauty of this mesmerizing valley starts to show up right from Joshimath. On the path ahead you tread through conifers, lush meadows and then climb over moss and shrubs. The beautiful backdrop remains a constant all the way up. Occasionally you will encounter small and scenic hamlets. When you reach Ghangaria, take a peep on the left side and you will be greeted to the grand valley by amazing floral magnificence of hundreds of colorful flowers. 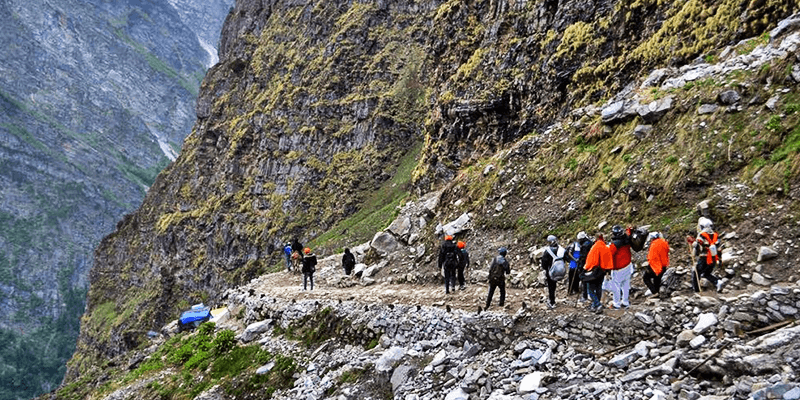 Joshimath: The trek to the Valley of Flowers, and up ahead to Hemkund Sahib, begins from Joshimath (a hamlet in Chamoli district). From Joshimath, you’ll walk along the bank of river Alaknanda. Govindghat: Your first halt is at the tiny village of Govindghat. You can stock up some eatables and also fill water containers here. Though there is a lake at higher altitude, yet you should carry as much water, for the journey ahead, from Govindghat as possible. Ghangaria: A steady climb lands you in Ghangaria. But before you reach Ghangaria you will witness a lot of land-form transitions. Valley of Flowers: After some refreshments, walk for another kilometre to reach the Valley of Flowers National Park. The view of this beautiful valley will get over the tiredness of the journey, really soon. 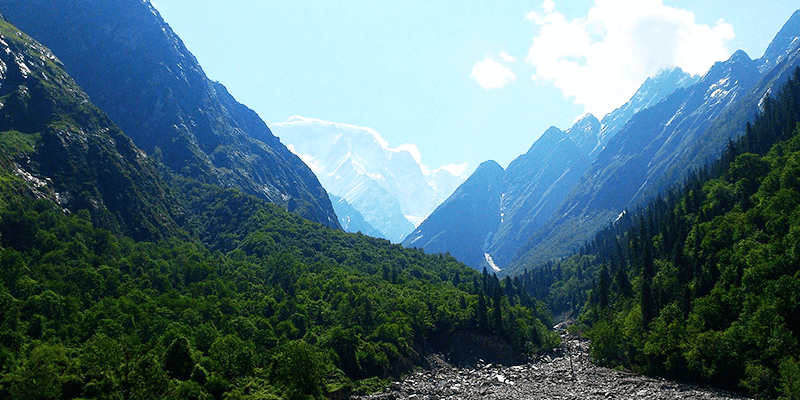 Hemkund Sahib: The next leg of the trek starts from Ghangaria. 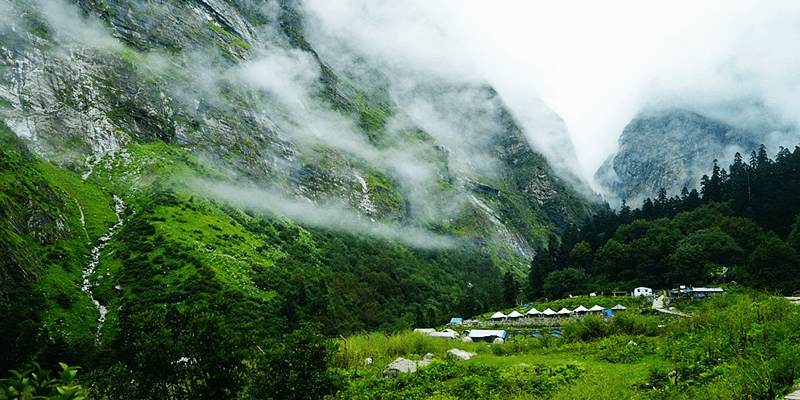 With a seven odd kilometres hike, amidst magnificent scenaries, you will reach Hemkund Sahib. While there, shred off your tiredness by sitting by the beautiful lake and soak in the beauty of the surroundings. Valley of Flowers, now a National Park area, was discovered by Frank Smith when he was on an expedition to Mount Kamet. It is a destination for nature lovers, trekkers and botanists. The valley is famous for its meadows of alpine flowers. 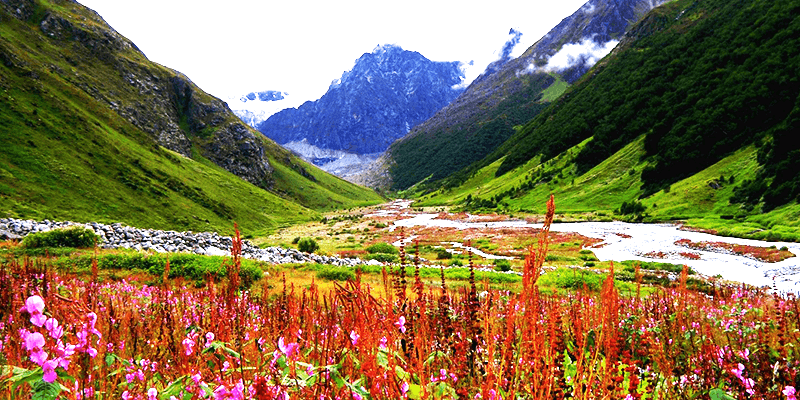 Though famous for its diverse collection of flowers, the Valley of Flowers is also home to many endangered animal species and a host of eye-catching birds. Amidst animals, you can find Himalayan black and brown bears, snow leopards, musk deer, red foxes and the Himalayan Tahr. Monal is the most commonly spotted bird in the region. Seven kilometres ahead from Ghangaria, is the sacred Sikh Gurudwara of Hemkund Sahib. 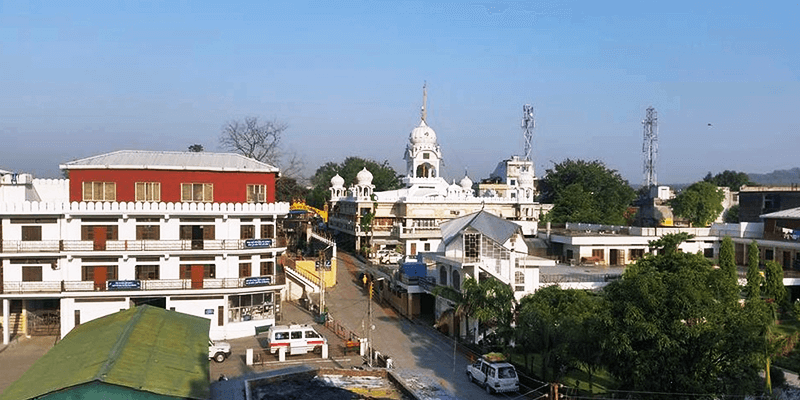 This two-storey shrine was designed by Indian Army in the 1980s. The lake of ice (Hemkund Lake), is situated in front of this Gurudwara. 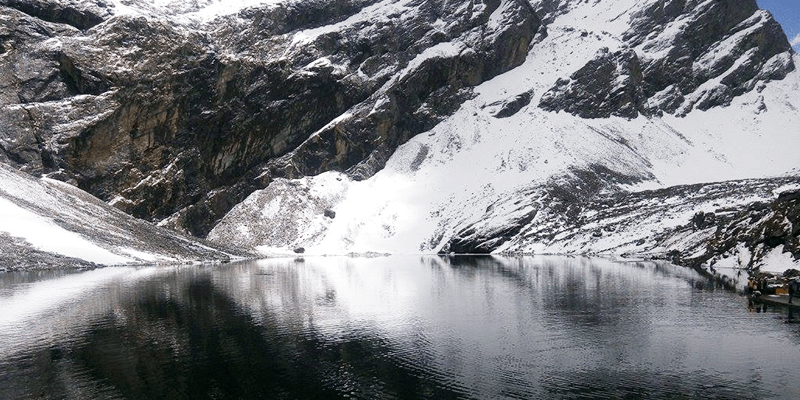 Surrounded by seven ice clad peaks (Saptashringa Peaks), the view from the lake is spellbinding. The rock strewn shores of this ice cold place is where you can sit and just keep staring at nature’s beauty. The water of this lake is greenish in color, and one can find chunks of ice floating on it even during the summer months. I have visited upto Hemkund Sahib. I have also visited Gangotri, Uttarkashi. I love Uttrakhand and wish to visit the entire State. I went to valley of flowers and then Hemkund Sahib just few days back. All the memories are so fresh that I think I am still there. Though we went in off- season and was not able to see the bedding of beautiful flowers but still the trekking part was like a dream. The journey to valley of flowers was absolutely thrilling. Beautiful waterfalls, mountains covered in snow, some green mountains, some brown mountain and the path in which we were going. Fragrance of soil, sound of water running was so delightful. I wish to go back again. Thank you so much for sharing, your post is amazing.